Product #21783 | SKU PTC-NPF | 0.0 (no ratings yet) Thanks for your rating! 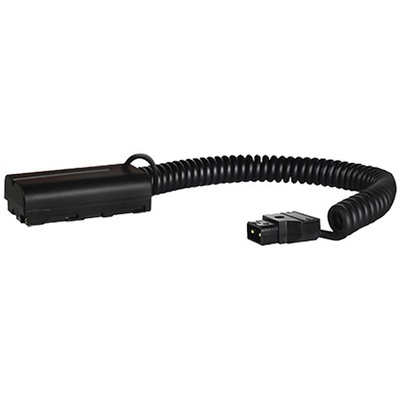 This Switronix Coiled PowerTap Cable allows you to connect a P-Tap power source to Sony cameras as well as many other devices that use Sony NPF L-Series batteries. The cable features a P-Tap connector on one end and L-Series dummy battery that installs into your device on the other. The cable runs 18" when contracted and 48" fully extended.